In Folsom, CA., a very unusual tourist attractions brings in visitors from across the state, the nation, and even the world. It’s not Folsom lake, its cool waters a haven for families, ski boats, and paddleboards. It’s not the American River; which winds through the city on its 119 mile excursion from the Sierra Nevadas until it joins with the Sacramento River on its way out to the San Francisco Bay. It’s not even the Historic Downtown District, where charming historic buildings are home to galleries, taverns, restaurants, local shops and more. They come for the chance to walk up to a prison gate. The East Gate of Folsom Prison. Folsom is one of the most famous and well-known prisons in the world. And the man who made Folsom Prison so famous is the legendary Man in Black. In 1968, a country musician and outlaw decided to record a live album for inmates inside Folsom Prison. On January 13th of that same year, Johnny Cash took to the stage, his black Martin guitar in hand, and performed for an audience of incarcerated men and prison guards. The live recorded album, At Folsom Prison, was a hit. It’s single, Folsom Prison Blues, quickly climbed the Billboard charts. The Grammy-winning album remained on the charts for 122 weeks. It was certified Gold in 1968 and Triple Platinum in 2003. His performance at Folsom Prison reignited Cash’s career. It also lit a flame of passion for prison reform in the Man in Black, who believed in the power of redemption and rehabilitation for the incarcerated men he had met along the way. Folsom Prison Blues was earning airtime in radio stations across the country. The song struck a chord in the hearts of Americans from the West Coast to the East. And Folsom Prison became a cultural phenomena. The stories of Johnny Cash and Folsom Prison instantly became interconnected- one could not be told without the other. In the small Northern California town, Folsom Prison Blues played 24-hours a day from jukeboxes in bars and taverns. Slowly, more and more curious fans began to wander up to the prison gates. Prison guards, previously concerned with making sure inmates stayed inside the walls, now had the extra responsibility of keeping inquisitive onlookers out. Today, nearly 50 years after the Man in Black took that stage, the City of Folsom and Folsom prison have become a vacation destination for Cash fans. Every day in Folsom, people flock to the East Gate prison entrance, where Cash posed for a photo in 1968. The gate is instantly recognizable; it’s Romanesque architecture has not been changed in the past half-century, and the iconic Gothic lantern still remains. Visitors strike their best versions of a “Johnny Cash pose,” uploading their pictures to Facebook and Instagram on the spot. Guards patiently keep an eye on the visitors, the rebels, outlaws, and “men in black” who come to pay tribute to Cash. The City has embraced the legacy of Johnny Cash’s Folsom Prison Blues, finding inspiration in the legions of Cash fans who come to visit. Cash’s influence is subtly woven throughout the city and it’s events; such as the Folsom Prison Blues Bike Ride, Race Behind Bars mountain bike race which takes cyclists across the prison property, and the Folsom Blues Half Marathon. Folsom has taken the history of Johnny Cash and Folsom Prison and infused it with the other elements that make the city so distinctive; a historic California gold-rush town with natural scenic beauty, a mecca for outdoor sporting and fitness enthusiasts, cyclists, runners, and water sports fans alike. The City has managed to embrace the fans of Johnny Cash who want to pay homage to a musical legend, without losing sight of the many other distinctive things that make the city a great place to live, work, play, and visit. 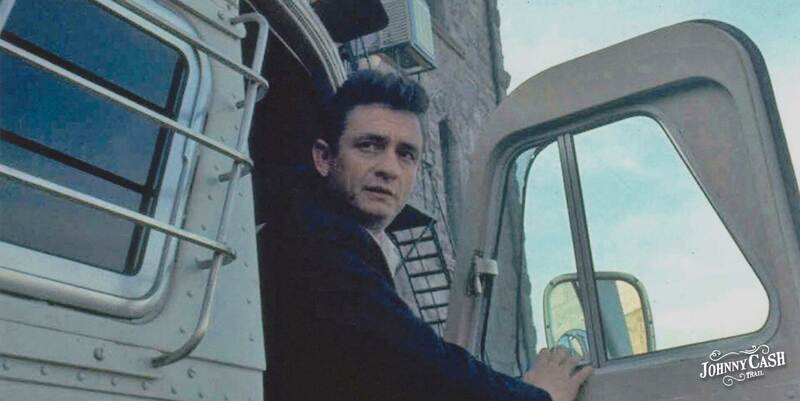 Fifty years ago Cash was inspired by Folsom Prison. And the city has been inspired by Cash ever since.